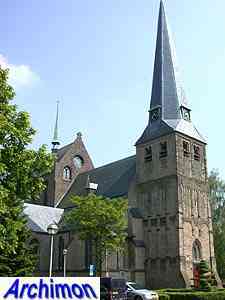 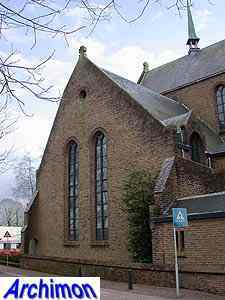 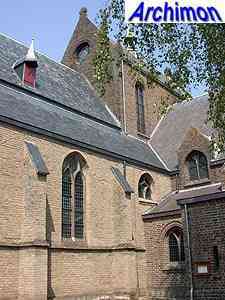 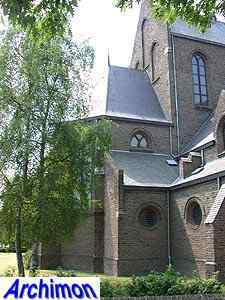 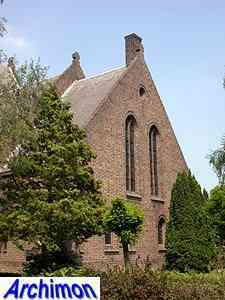 The church of Groessen combines elements from different architectural styles. 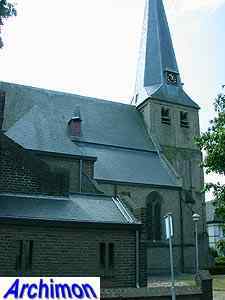 In the 12th century a Romanesque church was built. 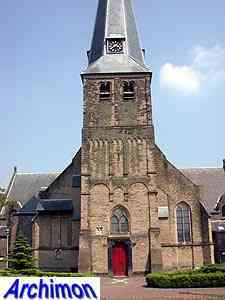 Little is known about this old church, of which only the tower remains. 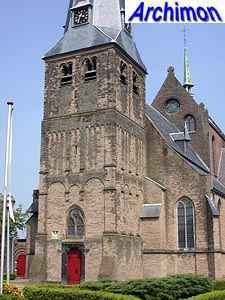 This tower is made of tuff and is nicely decorated in typically Romanesque style. 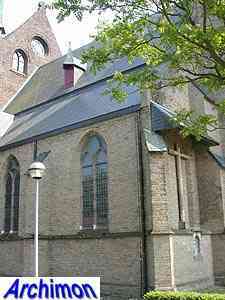 A new pseudo-basilican church in Gothic style was built in ca. 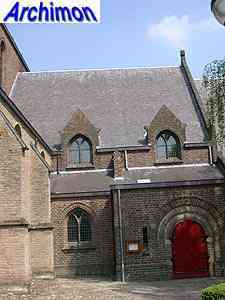 1500. 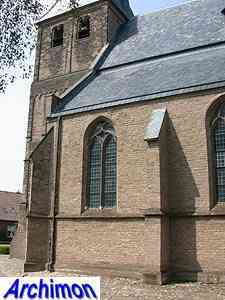 Of this church only three traves of the nave are left. 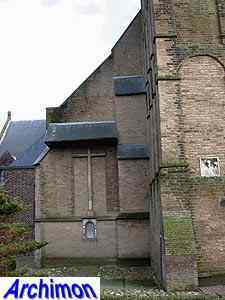 Apparently this church had become too small by the 1930's, and a drastic enlargement was needed. 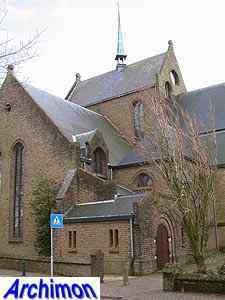 In 1932-1933 H.W. 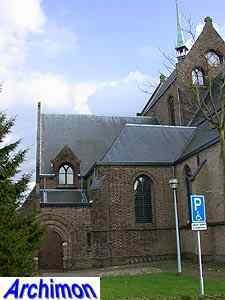 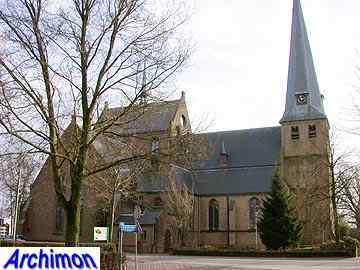 Valk replaced a part of the church with a big new transept and a new choir, along similar lines as the St. Willibrordus in Eersel (NB) that he had enlarged a few years earlier. 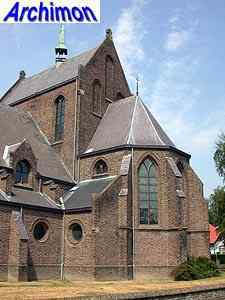 The church had now been transformed into a christocentric one, with the altar standing at the crossing of nave and transept, a type of church that matched perfectly with the liturgic ideas of that time and of which Valk built many. 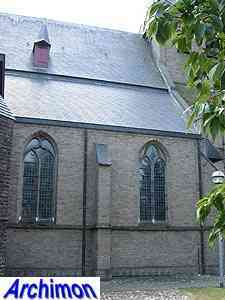 The crossing is illuminated by windows in a large crossing-tower. 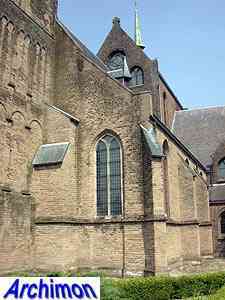 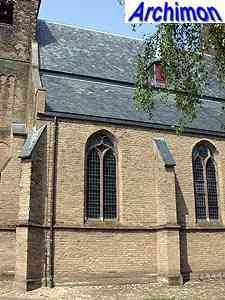 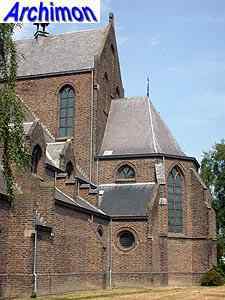 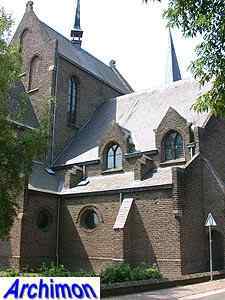 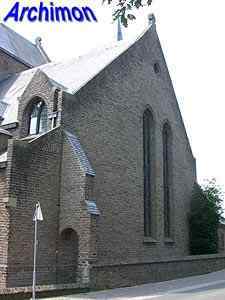 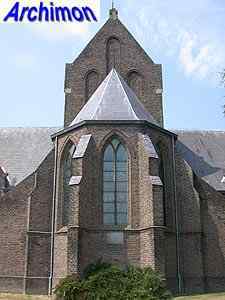 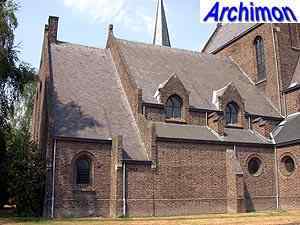 After a conflict over financial matters between Valk and architect P. Starmans, inspector for building matters of the Utrecht Archdiocese, the church was completed without the architect's involvement. 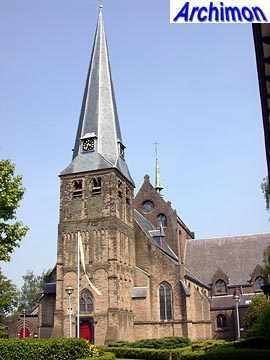 Incidentally, the same Starmans is thought to have given permission to architect J. Haket to use Valk's design for the enlargement of the church of Schalkhaar (Ov).